Timothee de Fombelle is a much-admired French playwright. Initially working as a teacher/lecturer, he soon turned to writing and in 2006 produced his first novel, Toby Alone, known in his native France as Tobie Lolness. Highly acclaimed, it has been translated into 22 different languages and has won numerous prizes. 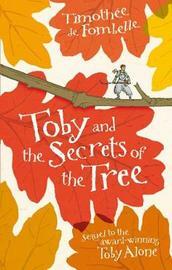 Toby's extraordinary story continues in Toby and the Secrets of the Tree. Francois Place is one of France's leading artists and is also a well-praised fiction writer. Some of his best works include Les Derniers Geants ("The Last Giants"), Le Vieux Fou de Dessin ("The Old Man Crazy About Drawing") and L'Atlas des Geographes ("The Atlas of the Geographers of Orbae"). He lives in France.